Some pictures of how to organize the base game into the provided tray as well as protective sleeve suggestions. The recommendation to use Mage sleeves has evolved. 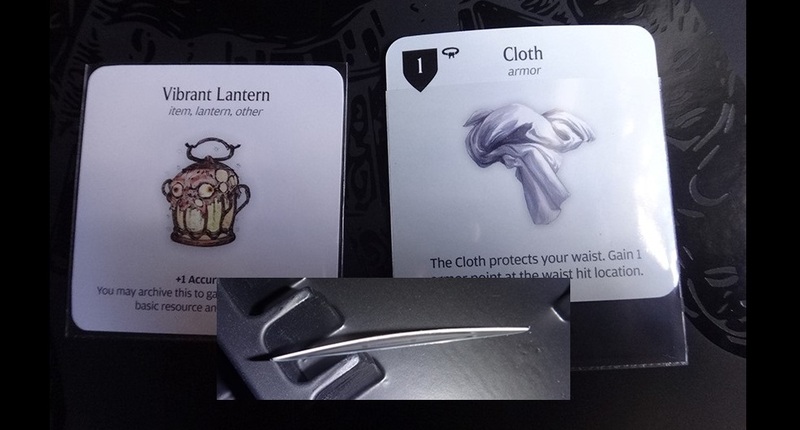 They kickstarted a KD:M specific bundle (the "undead" reward) which has had significant fulfillment issues (I'm out $71 for gear sleeves myself despite several emails to the contrary). 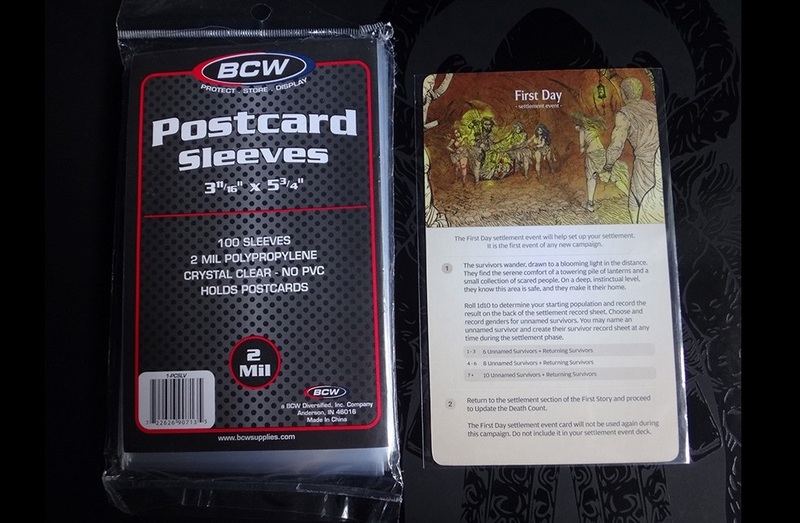 The sleeves listed below were pretty much the only option in 2015 but there are now a few alternatives to sleeving gear cards. Tray for the game was broken and cracked in several places, used black duct tape to fix with additional cardboard to reinforce the sides and inside corners.